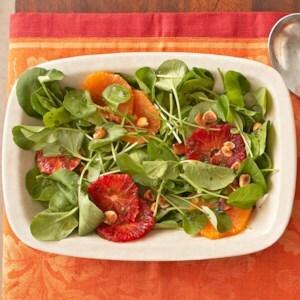 Find healthy, delicious spring salad recipes, from the food and nutrition experts at EatingWell. We can't get enough of fresh spring produce when the season hits. Warmer weather has us craving salads and we can't get enough of these packed with strawberries, asparagus, avocado, watercress and more. A memorable fruit salad that comes together in just 30 minutes? 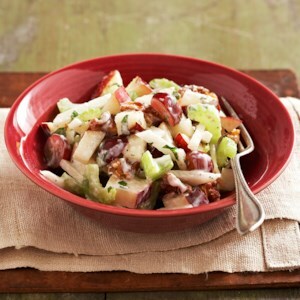 Try this simple recipe and impress your guests--they'll love the combination of fruit (pear and grapes) and crunch (jicama, celery, and walnuts), all mixed up in a creamy lime-yogurt dressing. 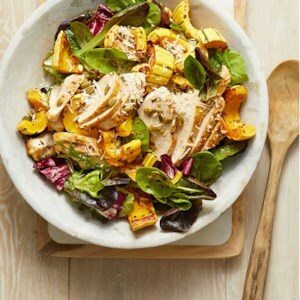 This hearty salad comes together with little effort, since the squash and chicken can roast together on the same sheet pan. Prep the dressing and the salad greens while the chicken is roasting. 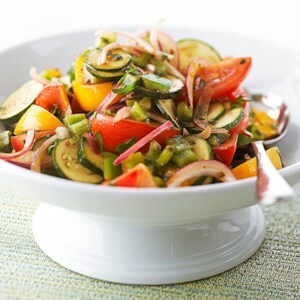 Serving this salad combo at room temperature helps the full flavor of the veggies come through. 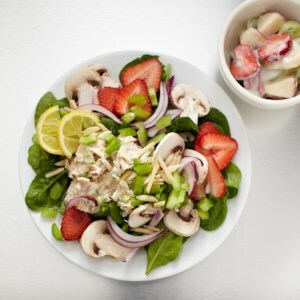 Enjoy sweet, juicy strawberries paired with nutrient-dense mushrooms and tangy tuna salad. 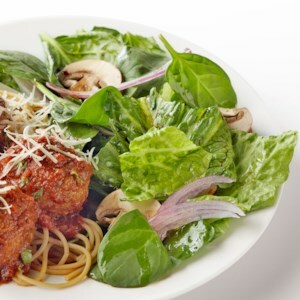 This is the ultimate salad to keep you feeling full. 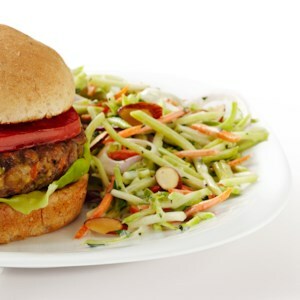 It boasts 20 grams of protein and 10.5 grams of fiber -- both nutrients known to satiate hunger. Thanks to ready-made broccoli slaw mixes available in the produce aisle, this side dish can be prepared in just 15 minutes. 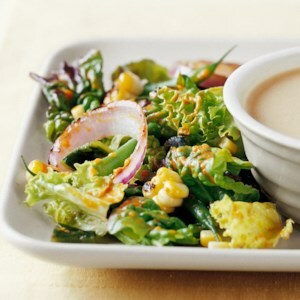 The chilling time is necessary so the slaw can marry with the honey-lemon dressing. 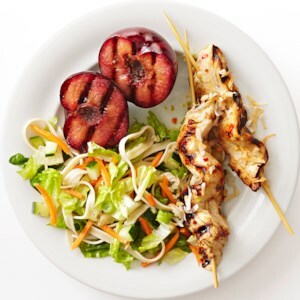 Next time you're preparing meat or fish on the grill, try this grilled salad recipe. Romaine lettuce is a perfect choice for grilling and it's ready in just a few minutes. 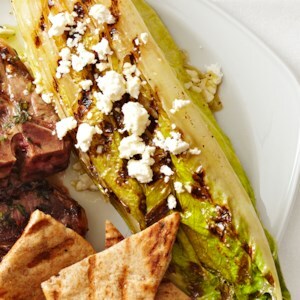 Slightly charred and wilted, the taste is enhanced with a simple lemon dressing and a sprinkling of feta cheese. 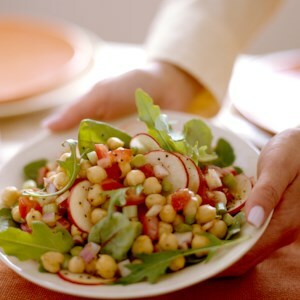 This Italian white bean salad is healthy and delicious. 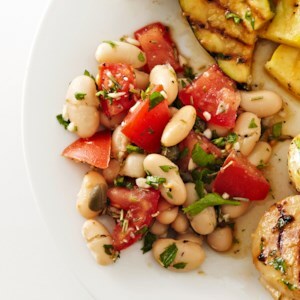 The capers and rosemary-lemon dressing add wonderful flavor to the cannellini beans and chopped tomato. Some people prefer rice noodles to pasta. In this Asian-inspired salad recipe, wide rice noodles are combined with crunchy lettuce, cucumber and carrots and tossed in a ginger-sesame dressing. 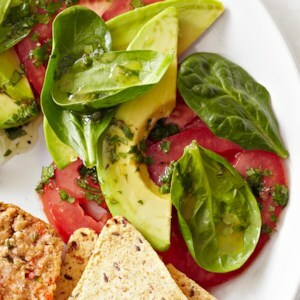 This fresh tasting salad combines creamy avocado slices and fresh tomatoes in a yummy cilantro-lime dressing. 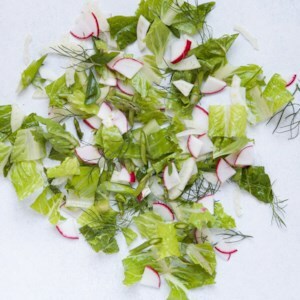 It's a quick-and-easy side salad that will add color to any main dish. 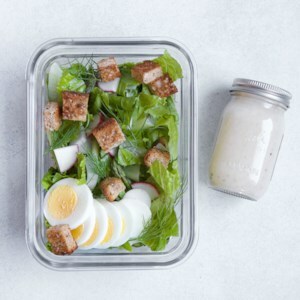 This simple green salad is made with romaine lettuce and baby spinach and can be thrown together in minutes to round out any meal. 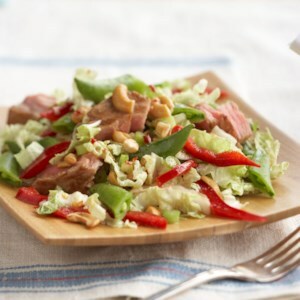 Tuna, napa cabbage, and colorful vegetables get a sweet-and-spicy Asian-style dressing for a main-dish salad that's perfect for warm summer days. 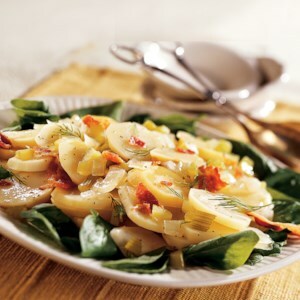 Light and fresh, this salad is full of nutritious fruits and vegetables. 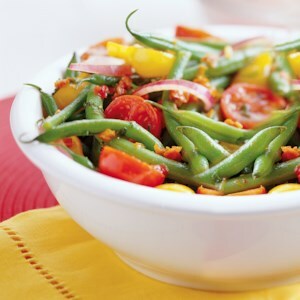 This fresh green bean salad, tossed with a homemade tomato vinaigrette, is a delicious and easy side dish. 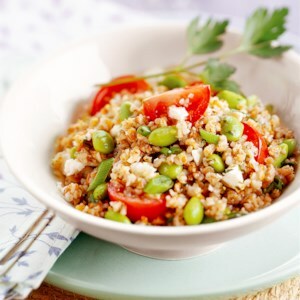 This healthy Mediterranean salad makes a great vegetarian main dish. 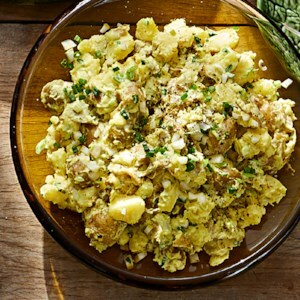 Or you could serve smaller portions as a side dish with grilled chicken, beef, or pork.